Dipl.-Ing. Till Sieberth PhD is an engineer at the Institute of Forensic Medicine at the University of Zurich (Switzerland). He graduated from Loughborough University (UK) in 2016 with a PhD in geomatics. The focus of his doctoral research was “Motion blur in digital images – analysis, detection and correction of motion blur in photogrammetry”. 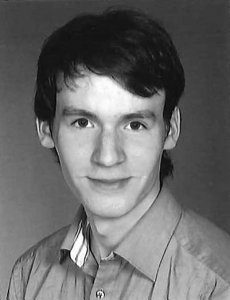 Before 2012 he visited Dresden University of Technology (Germany), graduating in Geomatics with a Diplom Engineer in 2012. Since 2016 he is working in the Virtopsy team as an expert in 3D documentation of patterned injuries and researcher in forensic imaging. Additionally he is volunteering as Digital Content Editor for The Photogrammetric Record and as reviewer for the SPIE.